Eric Huntington’s Creating the Universe: Depictions of the Cosmos in Himalayan Buddhism is a Fall 2017 Meiss grantee. 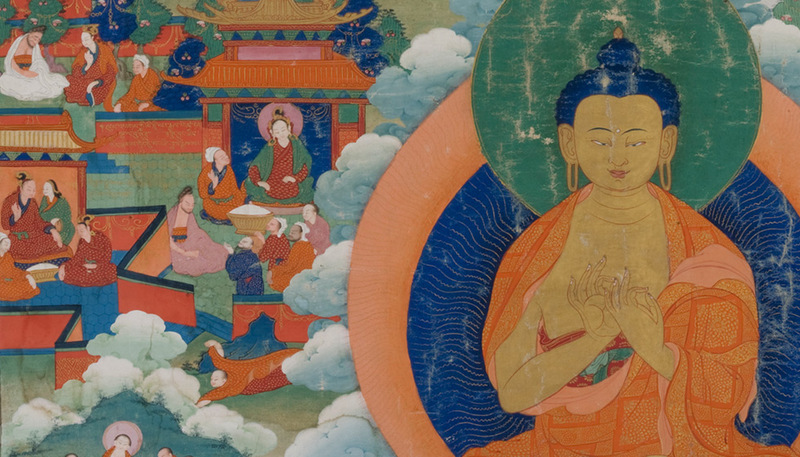 Image: The life of the Buddha (detail), 1700–1800. Tibet. Ink and colors on cotton. Courtesy Asian Art Museum. Twice a year, CAA awards grants through the Millard Meiss Publication Fund to support book-length scholarly manuscripts in the history of art, visual studies, and related subjects that have been accepted by a publisher on their merits, but cannot be published in the most desirable form without a subsidy. Thanks to the generous bequest of the late Prof. Millard Meiss, CAA began awarding these publishing grants in 1975. Questions? Please contact Aakash Suchak, CAA grants and special programs manager, at 212-392-4435.